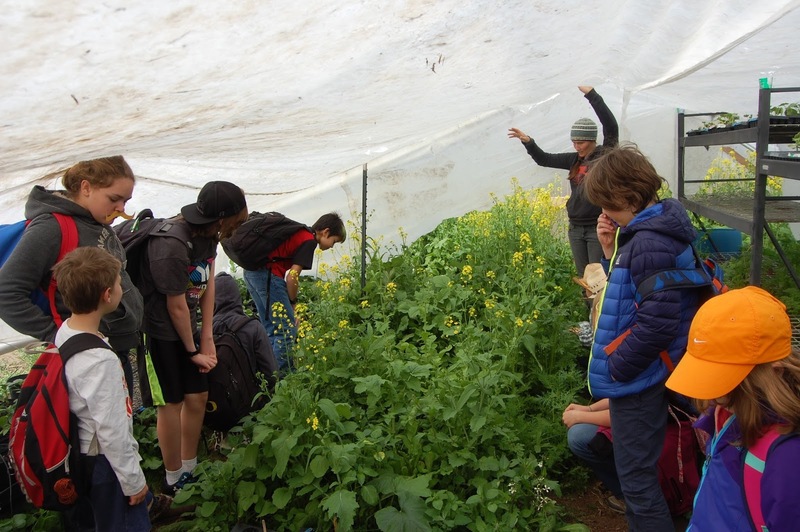 On Wednesday April 27, Black Butte School visited Juniper Jungle Permaculture Farm just east of Bend. Juniper Jungle is an organic, permaculture, biodiverse farm. 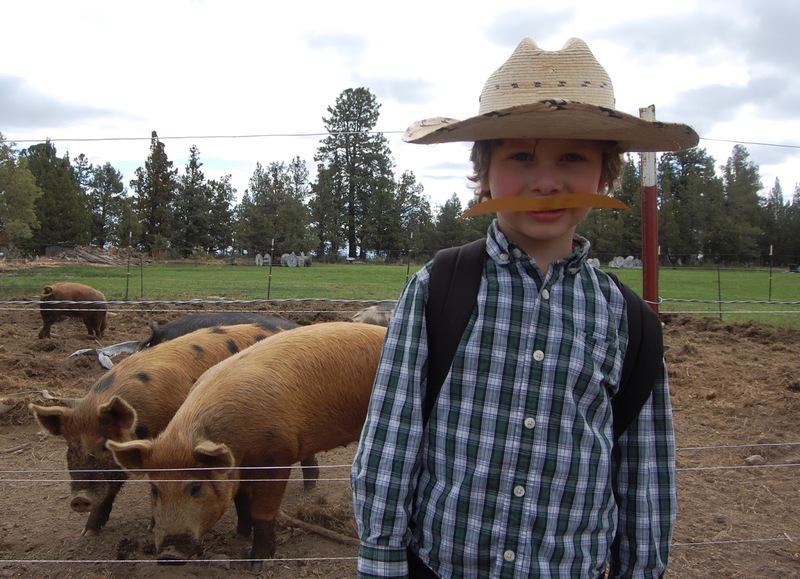 They grow heirloom plants and raise heirloom animals. 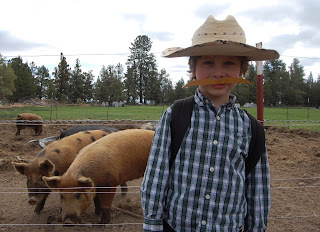 Heirloom food is grown from seeds or animals that have been passed down from generation to generation. 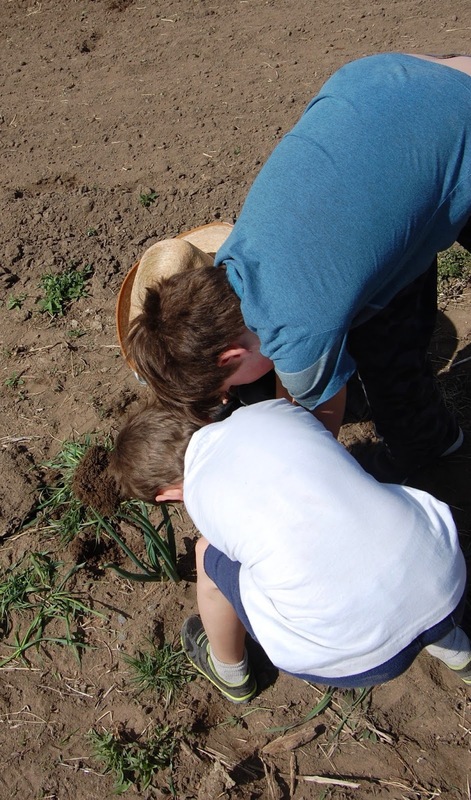 The farm is a CSA (Community Supported Agriculture) farm, meaning they sell to families and at farmers markets. By now you might wonder how they got their name, well, they are growing a jungle in the junipers, since they used permaculture principals in growing food. Sometimes permaculture principals mean that the farm could look messy like a jungle. Our tour guide, Jessica, did an amazing job showing us around. Jessica showed us their beautiful, giant pigs. Next, she showed us the cows. They have two milking cows. After we checked out the cows, we headed over to the greenhouses. Their greenhouses are wild and crazy. They don’t do anything to contain the wildness of the plants, they just let them do what they want and produce their seeds. This returns needed nutrients back to the soil. We all ate our fair share of dill before walking outside for some rock chucking. No, we did not actually CHUCK the rocks, we carried them. Our task was to clear the field of rocks. There were a few giant monster rocks buried several feet underground. We all dug and dug until we couldn’t dig anymore. Sheesh were we tired.